Although the land that comprised Oak Farm does not form part of Mill Meadows Local Nature Reserve today, it is relevant to our story as it formed part of the Gatwick estate owned by the Ward family. By 1867, Oak Farm is listed with 20 acres of land and premises and then owned by Henry Ward with William Beall as the occupier. It then appears in the 1901 census when the occupants were Walter Ruggles (42) a self-employed farmer with his wife Mary and three children. The 1912 valuation survey describes Oak Farm as a house, buildings and land occupied by J Woolnough and owned by Henry Ward. The building is described as a fairly old detached timber house with a tiled roof. In 1918 Francis Joseph Connolley and Ellen Mary Connolley were registered on the electoral roll as living at Oak Farm. In a survey from 1941 Oak Farm is listed as containing 5.2 acres owned by Mrs Ward of Lockers Hall and therefore part of the Gatwick Estate. The tenant farmer was Mr F J Connolley who had been the occupier for 25 years. 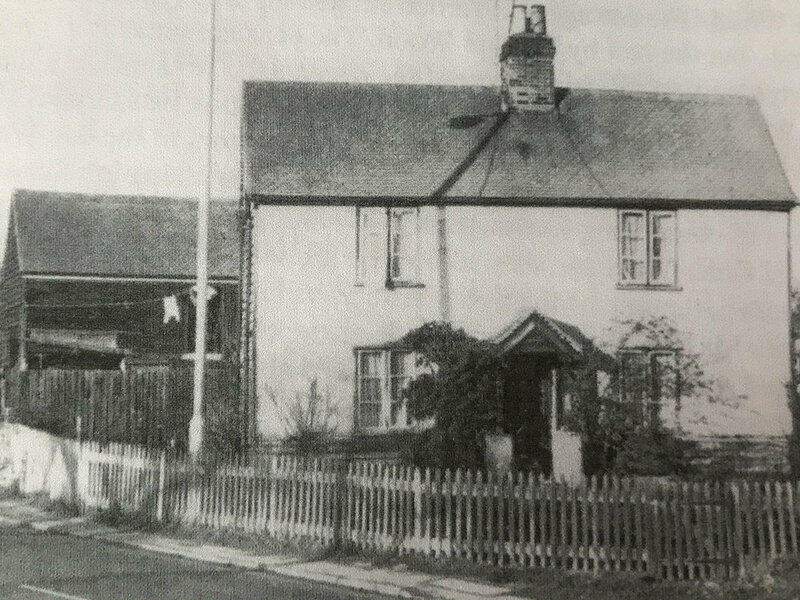 In March 1945 Billericay District Council bought the two fields to the north of Oak Farm and two cottages fronting Outwood Common Road, a total of 6.55 acres from Henry Ward. This purchase provided the Council with a site for urgently required houses due to those lost during the war years with none rebuilt during that time. Pre-fabs were built here, planned to last for ten years but most stayed much longer, those in Beams Way not being replaced by permanent brick built housing until the 1960s. Oak Farm house was demolished in the 1960s to make way for the realignment of Southend Road.